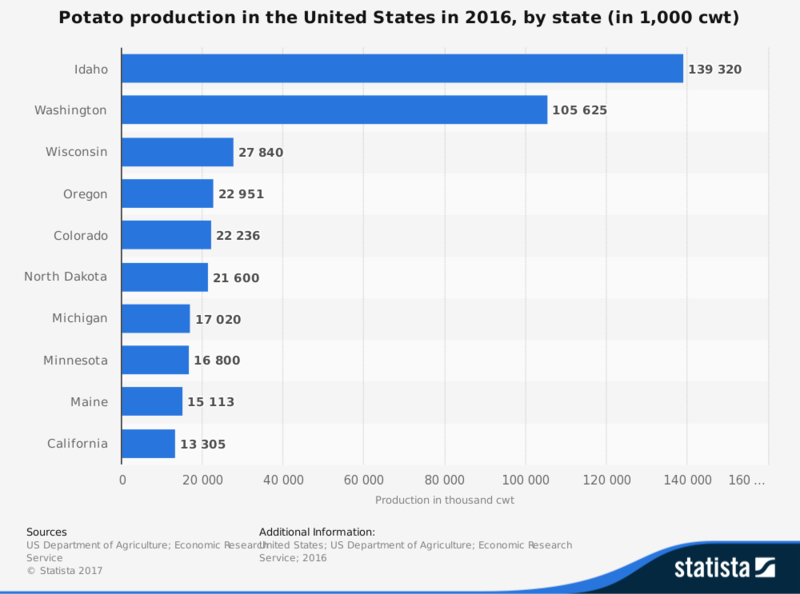 For more than 60 years, the Idaho potato industry has led the United States in total potato production, even though potatoes are considered a major agricultural product in more than 30 states. An estimated 62% of all Idaho potatoes are used to make processed products that are either frozen or dehydrated. An addition 29% are shipped fresh and 9% are grown for certified seed. There are several top potato varieties that are grown in Idaho, to include more than half of production being Russet Burbank. Here is a look at some additional Idaho potato industry statistics. 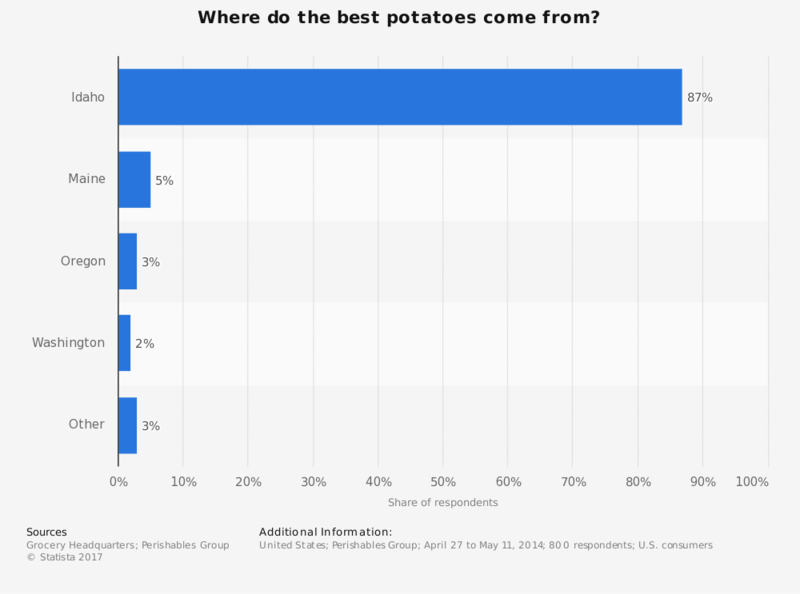 Potatoes are a major staple of the Western diet. It takes about 10,000 pounds of potatoes to create 2,500 pounds of potato chips. In the United States, the average person will consume about 4 pounds of potato chips per year. In 2011, the U.S. consumed 1.5 billion pounds of potato chips, which equates to 6 billion pounds of potatoes. Because of the demand for potato-related products, the industry as seen a price increase of $0.32 per cwt in 2016 from the previous year’s numbers. The average cwt price in 2016 was $9.08. Certain political pressures may affect certain export markets, such as the tariff that Mexico has placed on specific potato imports. 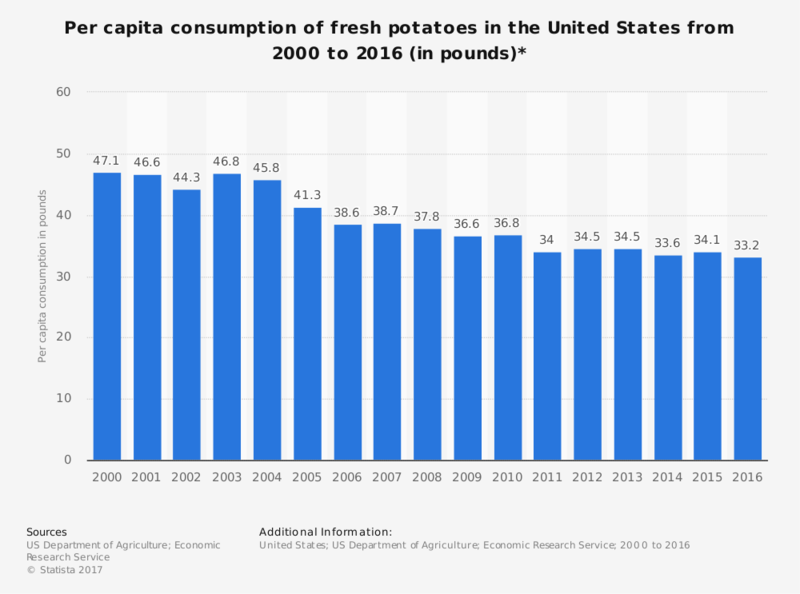 With high levels of domestic consumption, however, the Idaho potato industry looks to continue thriving in the months and years to come.